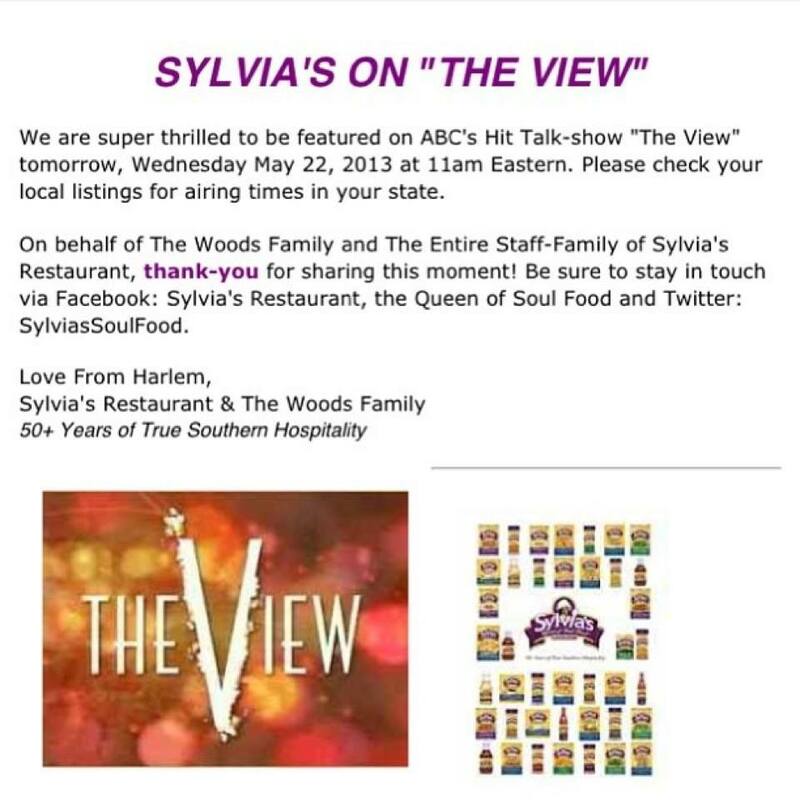 Sylvia’s Restaurant from Harlem to be on ABC’s The View today | HarlemGal Inc. This entry was posted in business, celebrities, Community, entertainment, Free!, Harlem, Harlem blogs, Harlem businesses, Harlem restaurants, Lenox Avenue, restaurants, Sylvia's Restaurant and tagged ABC Network, ABC's The View, Entertainment, Harlem, Sherri Shepherd, Sylvia's Restaurant, The View. Bookmark the permalink.